I signed up as suggested. Entered my license key and i.d and received a message saying that the license is already registered. Yeh, it's registered to me! So frustrated with MB rite now! As a long term MB user, Update 3.7.1 is the worst I've come across because of this activation issue. It's Easter long weekend and I got better things to be doing. I'm guessing that the email address I used when I purchased lifetime MB Pro many years ago may have something to do with it, as it's not the same as the one I'm using now. I don't know? This is even more outrageous then the BSOD's, freezes, lock-ups and crashes I've endured over the MB journey. Are there any MB staff members that can help me with this? Hello, I will be sending you a PM. Hi. Please review the block for rebrand.ly. Thanks. This looks like it could be a browser extension block. There are certain situations where a user might need to temporarily disable a protection layer because it's causing issues with their system, such as putting too much strain on system resources in the case of Ransomware Protection (especially on older computers like mine). However, having to turn that protection layer back on afterwards, sometimes a user can forget to do that, or they might be away from their computer for longer than they expect, leaving their system vulnerable in that time. As such, it would be appreciated if users could pause a real-time protection layer, and have it unpause automatically after a certain amount of time, when certain conditions are met, or both. Additionally, a user could configure rules to prohibit pausing a protection layer under certain conditions, or automatically pause it under other conditions. I'd appreciate some feedback on this idea. The one type of exclusion that Malwarebytes doesn't seem to allow users to configure is Registry exclusions, be it individual settings or entire keys. In particular, ForceActiveDesktopOn keeps getting quarantined by Malwarebytes, but I need Active Desktop in order for certain software I use to work, for example DOSBox (don't ask me why DOSBox requires Active Desktop, but there's an unofficial patch being made which removes that dependency). 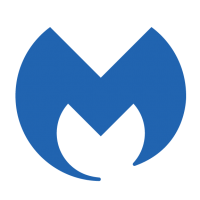 Could the option to add Registry exclusions to Malwarebytes be added in the future? Windows 10 update Kb4493509, I was running a scan malwarebytes. And my system froze, Is there any Issues with the resent Windows 10 update Kb4493509. Please don't come back and say there Is no Issues, because this has happened on a few occasions now. Is there a fix? Yeah, it's definitely a hassle, but hopefully it will pay off in the long run. The upgrades really are worth it though, as I have been watching since version 3.0 was first released and I've observed all of the issues/bugs that have come up and seen first-hand how the product has become more stable with each release, including this most recent one (though obviously this issue is a nuisance for those affected by it; though of course I could be wrong about that and it may in fact just be coincidence and reinstalling it a set number of times just causes it to reach the limit for the number of devices/activations, even if done on the same system, though this too is just speculation on my part as it is only a possibility). Anyway, I do hope you are able to get it working properly again, but please let us know if you still have any problems and we'll do our best to help. Hi exile360 Thanks for the uber fast response and for the update that 3.7.1 has license activation issues. Who would of thought...lol. So sorry I updated MB now and it really feels like MB has dropped the ball with this. We shouldn't have to deactivate and reactivate license after an update. I will sign up with My.Malwarebytes.com with my current email and see how I go. Hi, Your copy of Chrome has been compromised Remove Chrome from your Computer and reinstall a fresh copy later. If you remove the syncing of your account you must remove it before you save your bookmarks etc... Delete Your Google Chrome Browser Sync Data if you sync with other devices. <- Important ... https://forums.malwarebytes.com/topic/214325-chrome-secure-preferences-detection-always-comes-back/ Before you remove Chrome Export your Bookmarks Chrome will export your bookmarks as a HTML file, which you can then import into another browser. How To: http://ccm.net/faq/31791-how-to-backup-your-google-chrome-bookmarks Before you remove Chrome Export your Passwords How to export your saved passwords from Chrome https://betanews.com/2018/03/09/export-chrome-passwords/ Clear your Chrome cache and cookies https://support.google.com/chromebook/answer/183083?hl=en Remove Chrome using the the instructions on this page. https://support.google.com/chrome/answer/95319?hl=en Re-install Chrome and the Bookmarks. <<<>> Keep me posted. I opened that document on a test machine with the latest version of Microsoft Word, and it gave an automation error. There were no malicious changes made to the disk. Looks like all is good... just be wary in the future. I honestly wish that Microsoft would kill VBA already... I'm sure there are legitimate uses, but I've never encountered a document with legitimate VBA macros.